The Mickey Mouse craze doesn’t seem to be slowing down anytime soon, and we don’t mind. This year, the beloved Disney character is celebrating his 90th anniversary. So to get into the spirit, Bésame Cosmetics created a special collection inspired by our favorite mouse. In true Bésame fashion, the Mickey Mouse 90th Anniversary Collection pays tribute to Mickey’s early style. The vintage packaging, old-school Mickey design, and retro script give it that extra layer of detail the brand does so well. Luckily, we don’t have to wait too long to get our hands on it. The collection will be available to shop on Black Friday (November 23rd) on Bésame’s site. 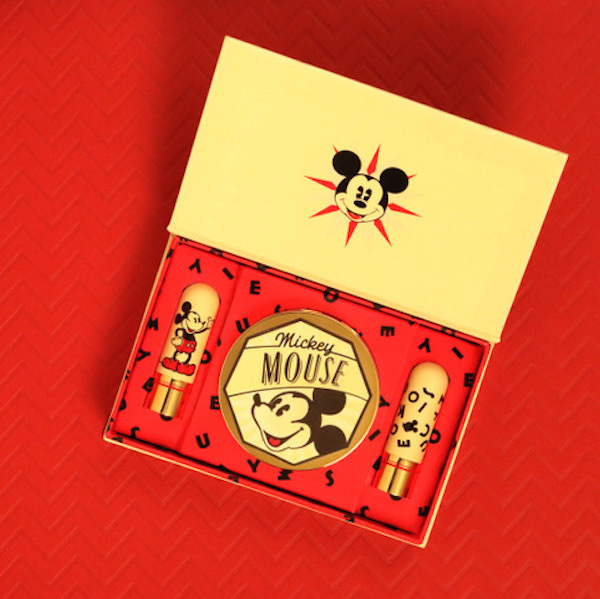 If you happen to be in Orlando, Florida from November 17th to November 18th, you can snag these goodies at Destination D.
The makeup collab features three limited-edition makeup pieces that will transport you to another era: two special lipsticks and a compact mirror. The lipsticks will be sold separately and as a bundle. However, the set includes the limited-edition mirror, and according the press release sent to HelloGiggles, it seems that’s the only way to get it. 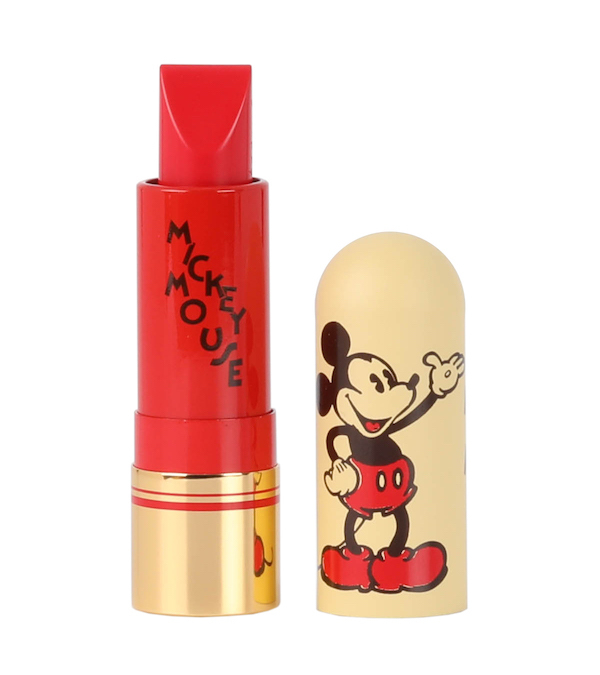 A classic red lipstick inspired by the color of Mickey’s trousers and shoes. This particular lipstick is a cool-toned red with a strawberry pink undertone. Don’t let the stark black shade fool you—this lipstick is actually a sheer blackberry shade (with a berry flavor!) that adjusts to the pH of your lips. So it will look different on everyone, making it one-of-a-kind. 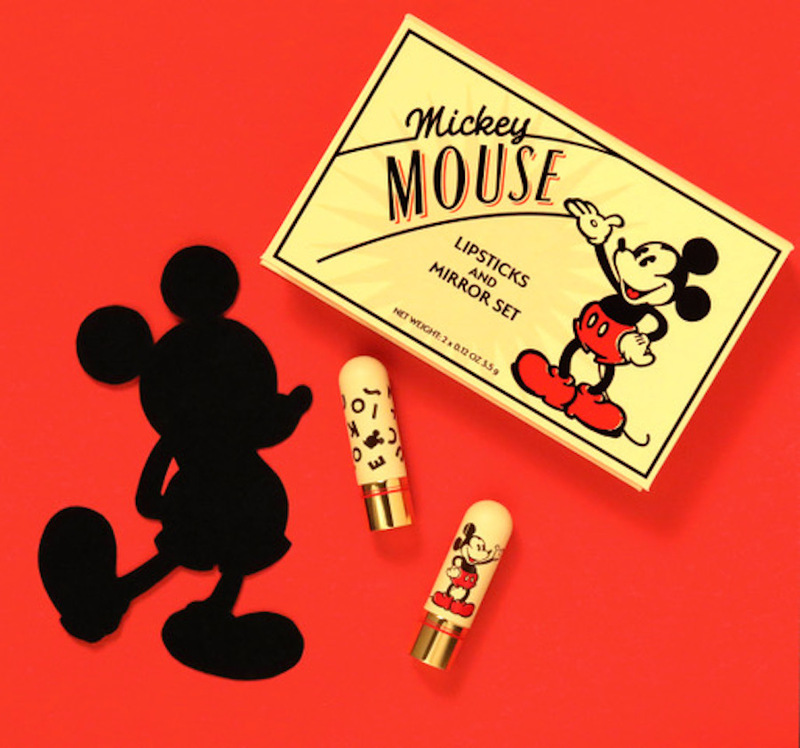 The inspiration for this lipstick came from Mickey’s animated debut in the 1928 black and white short Steamboat Willie. The compact mirror features Mickey’s classic smile with old-school font. This is the third time Bésame has teamed up with Disney, and each collab brings a new life to our favorite characters. The first collection featured dreamy Snow White products in opulent gold packaging, while Bésame’s Mermaid Lagoon line made mermaid makeup more upscale. And now, we can enjoy the brand’s homage to Mickey.